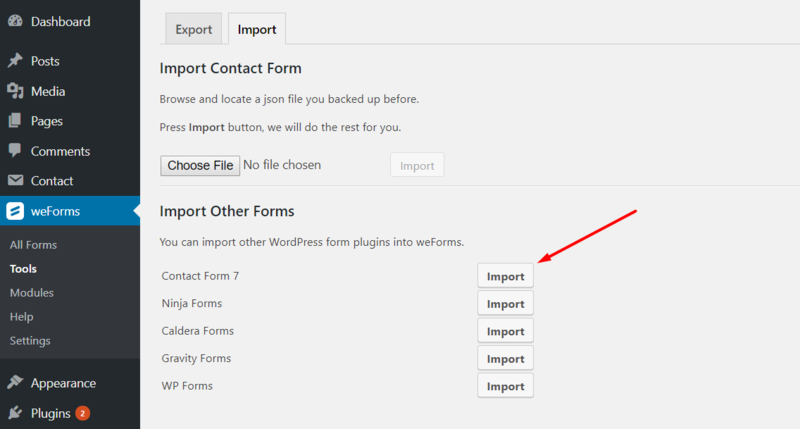 Go through this doc to know how you can import forms from Contact Form 7 to weForms and how your Contact Form 7 forms will look like in weForms. At first, navigate to WP Admin Dashboard → Contact → Contact Forms in order to see the forms that you have in Contact Form 7. 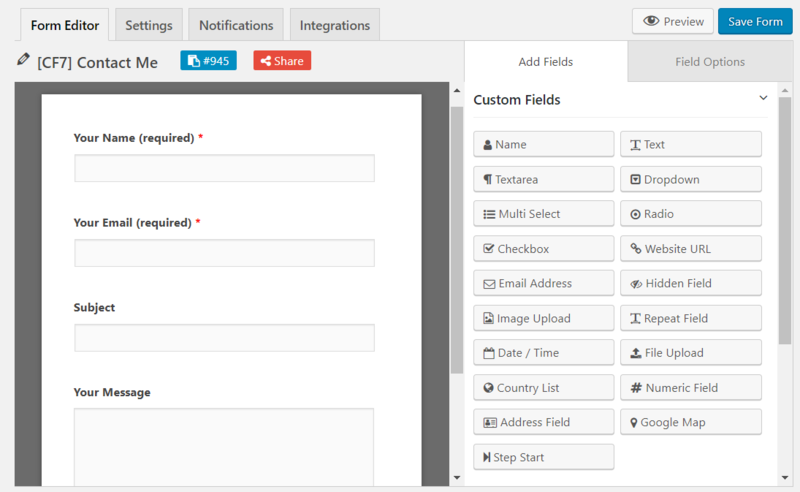 Say, among the two forms above, we are going to see how Contact Me form will look like on Contact Form 7. Now, we are going to see how this form will look in weForms. 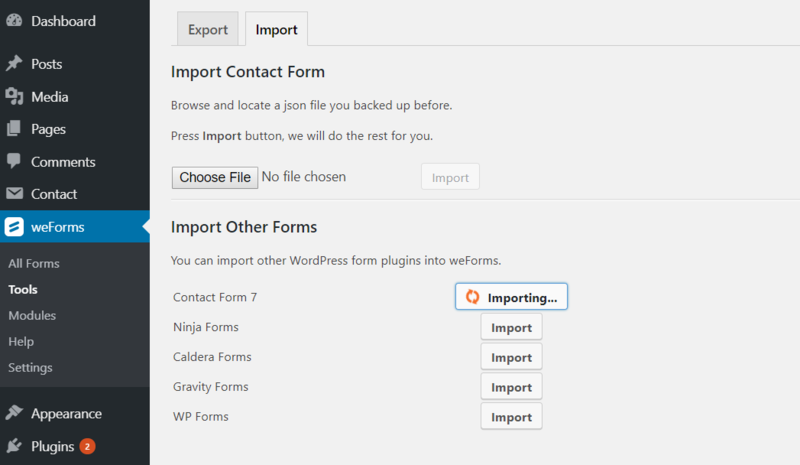 Once you click on Import, then weForms will begin importing all the forms of Contact Form 7 automatically. 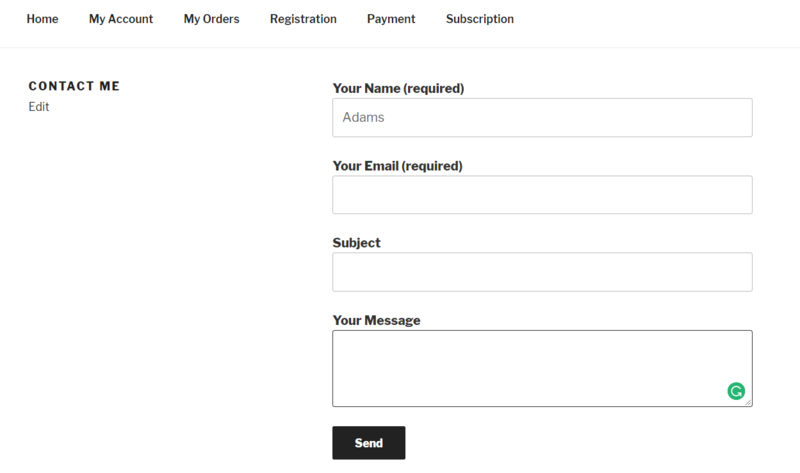 You can edit your imported Contact Form 7 forms by simply clicking on the Edit button. 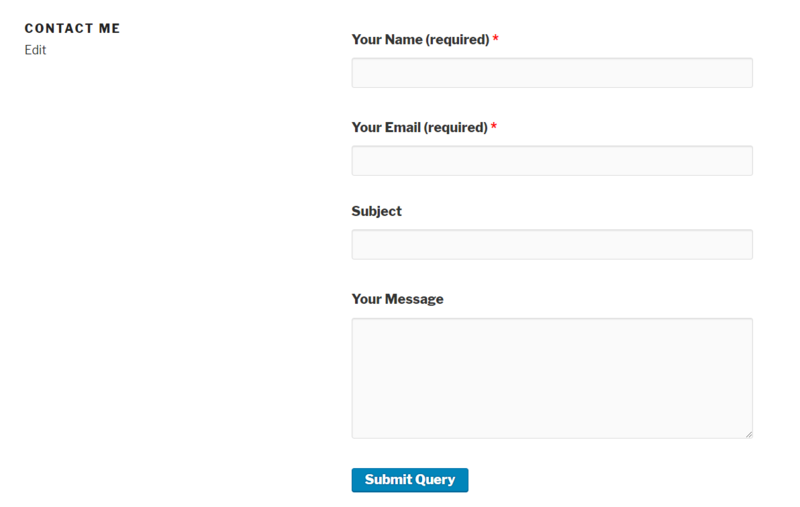 After hitting Edit button you will see the imported form that is Contact Form 7 Contact Me form in weForms’ form builder. Note: You must have at least one form in Contact Form 7 published on a page before. 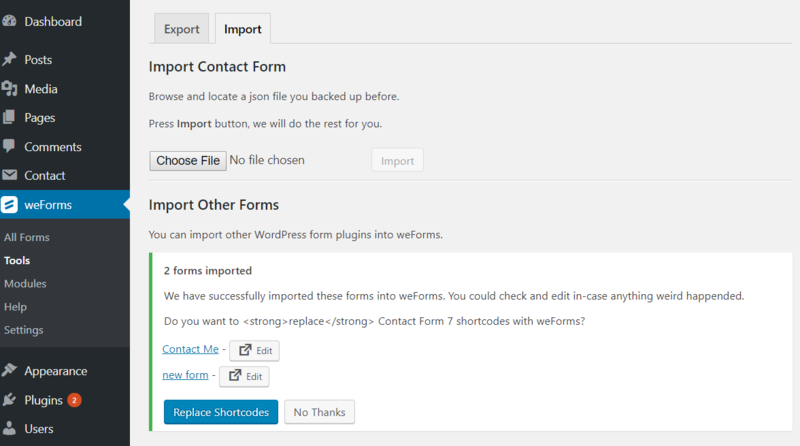 Otherwise, after having imported into weForms, you can’t replace shortcodes of the newly imported forms.